A large Throw sized quilt - Sunnie Flannie is a quilt you will just love to curl up in. 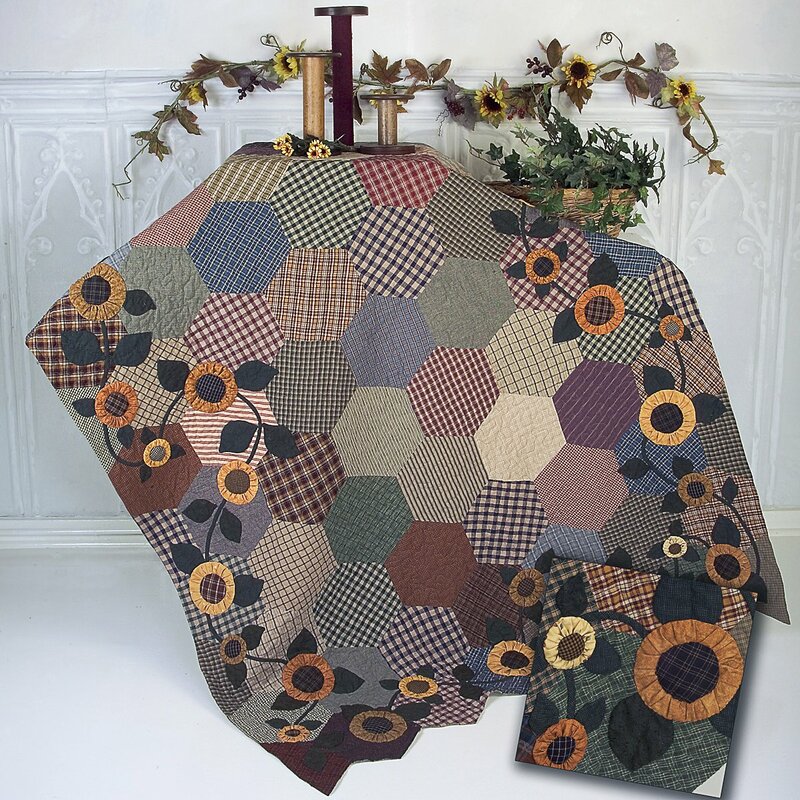 The top is machine pieced using a hexagon shaped block, and the sunflowers are made using different sizes of Yoyo's. Three dimensional applique makes this a very interesting and beautiful quilt, with a great homespun feel.